Monday, 9 a.m. - 12 p.m.
Wednesday, 9 a.m. - 12 p.m.
Dr Sciamanna has been treating patients for over 22 years in the South Jersey area. At medical school, in Kansas City, MO she was president of the Honorary Osteopathic Fraternity Sigma Sigma Phi. Dr. Sciamanna completed an MD Family Practice Residency at Virtua Hospital in Voorhees, NJ where she was chief resident in her last year. She was board certified by the American Academy of Family Medicine and the American Association of Integrative Medicine. In 1999, she earned the distinction of Fellow of the American Academy of Family Physicians. She studied acupuncture from the most prestigious center for teaching physicians in the US. The UCLA School of Medicine through the Helms Institute, has been training physicians in acupuncture since 1978. This intensive course includes a final requirement to locate acupuncture Shu points blindfolded. She has 15 years of acupuncture experience. 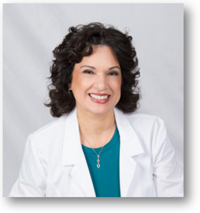 She is licensed to practice medicine and acupuncture in the State of New Jersey. She has studied French auricular acupuncture under renowned physician acupuncturist, Dr. Raphael Nogier. She studied Chinese Scalp acupuncture under Dr Jason Ji-shun Hao who brought this technique from China 32 years ago. In 2013, she was credentialed as a Diplomate of the American Academy of Pain Management. In the past, she has lectured about Alternative treatments for Allergies and Osteoporosis for Cooper Hospital's Family Medicine Department. Enjoying teaching, she had the opportunity to speak to the Voorhees, NJ community on "Using Food as your Medicine" in 2006. As a child in the 1970's she practiced yoga and was interested in nutrition. She was influenced by her Mother who read books and listened to radio broadcasts by noted Nutritionist Dr. Carlton Fredericks. Back then people thought "why are you eating that disgusting yogurt ?" Her parents always had a large vegetable garden and fig trees. This was kept free of pests by natural composting methods. Her Mom taught her to cook with fresh ingredients and experimented with different cuisines. It was only natural that she chose Osteopathic medicine which emphasized the holistic view of the body. Learning how the human body works down to the cellular level was fascinating. At medical school, she had lectures about the different types of medicine practiced around the world i.e. acupuncture, homeopathy. As an Osteopathic physician, she was taught that the body, mind and spirit are connected. The body has an inherent way of self regulation designed to restore balance. After finishing residency, she began to see patients with chronic disease who were at the point where western medicine was the only thing keeping them alive. She wanted to not just stave off disease, but be more preventative. She wanted to educate, not just medicate. In 1996 she attended her first functional medicine seminars and began a lifelong learning process which led to the physician she is today.